I have been watching other peaceful parents, in real life and online. I also notice my own style of dealing with the world. 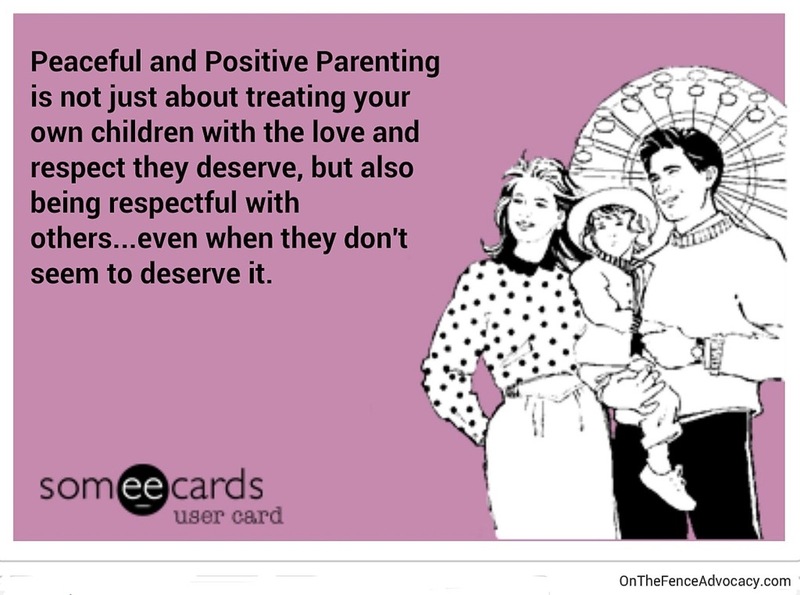 And here is something that strikes me all the time whenever there is a discussion (or a heated argument) between positive and negative parents. There are always those who insult, call you names, threaten you, send you to hell, call your kids names, etc. And those are not the ones from the peaceful crowd, believe me. It is ironic, in a way, how those who claim that violence/spanking/punishment works, are the same people who are the most disrespectful, the most hateful, the most vulgar people (in their choice of words, at least) that you can find. If THAT behavior with total strangers is normal and acceptable for them, then I definitely don’t want to raise my kids the way they are advocating for. I think peace begins at home. Peace begins with our kids watching us interact with the world. Peace begins with how we treat others, whether our kids are watching or not. And from my experience, you always practice what you preach. We do. And, clearly, they do. This entry was posted in My Memes and tagged Meme, Parenting, Positive discipline. Bookmark the permalink. ← How fine are you, exactly?